The Lofoten archipelago, just North of the Arctic Circle, is a place of unsurpassed beauty—the skyline spikes with dramatic peaks; the radiant greens and purples of the Northern Lights follow summers where the sun never sets. It’s a place of small villages, where the art of fishing, though evolving, is still practiced in traditional ways. Beneath the great depths surrounding these islands lurks the infamous Greenland shark. At twenty-four feet in length and weighing more than a ton, it is truly a beast to behold. But the shark is not known just for its size: Its meat contains a toxin that, when consumed, has been known to make people drunk and hallucinatory. Shark Drunk is the true story of two friends, the author and the eccentric artist Hugo Aasjord, as they embark on a wild pursuit of the famed creature—all from a tiny rubber boat. Together they tackle existential questions and encounter the world’s most powerful maelstrom as they attempt to understand the ocean from every possible angle, drawing on poetry, science, history, ecology, mythology, and their own—sometimes intoxicated—observations, meanwhile pursuing the elusive Greenland shark. 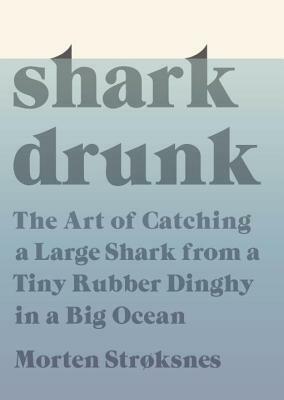 By turns thrilling, wise, and hilarious, Shark Drunk is a celebration of adventure, marine life, and, above all, friendship. MORTEN STRØKSNES is a Norwegian journalist and writer. He has published eight critically acclaimed books of literary reportage and contributed to several others.